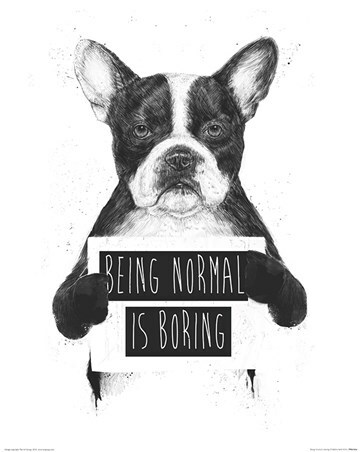 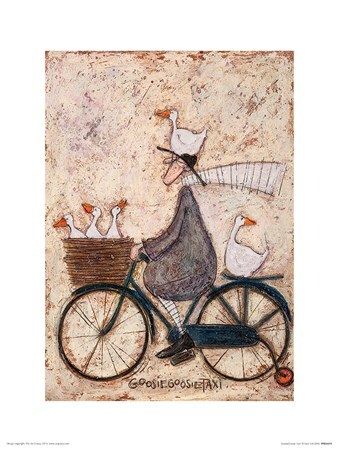 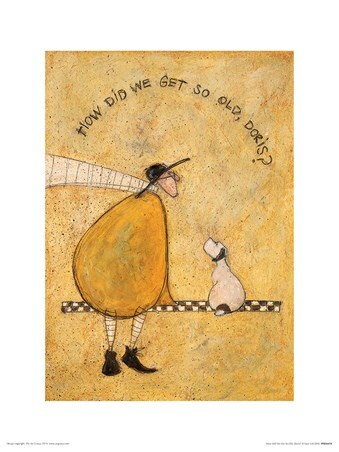 Take it back to basics with this whimsical sketch from British artist Sam Toft. Formulated in pencil and titled 'Doggie Taxi Service' this simplistic illustration sees Mr Ernest Hemingway Mustard cycling along with his basket and trolley full of furry pooches. 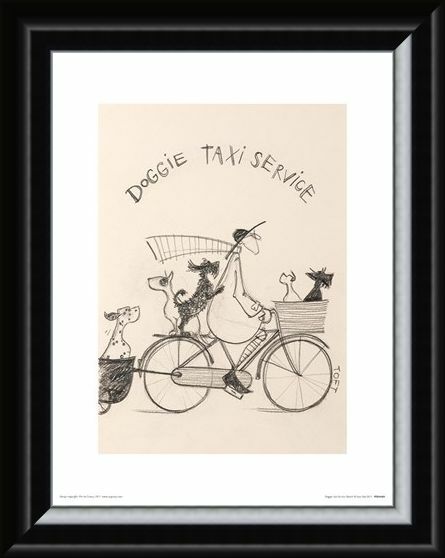 The love and loyalty portrayed in this adorable image is clear for all to see and would make a welcoming addition to any home. 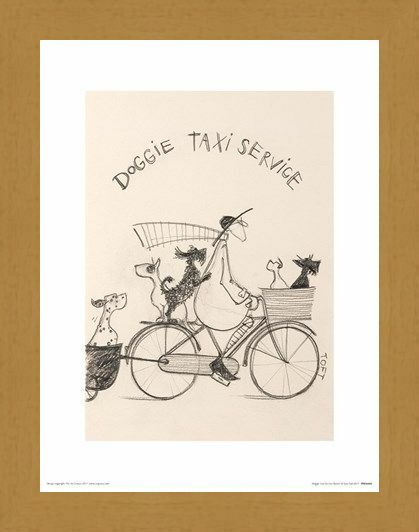 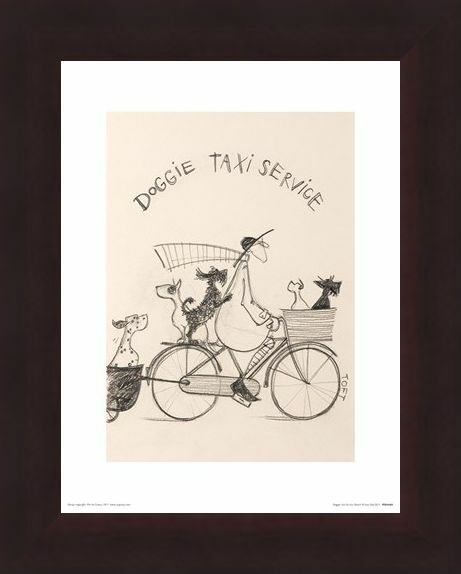 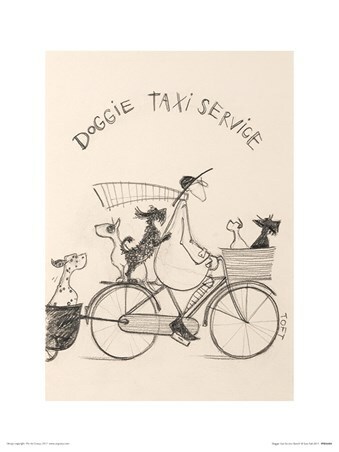 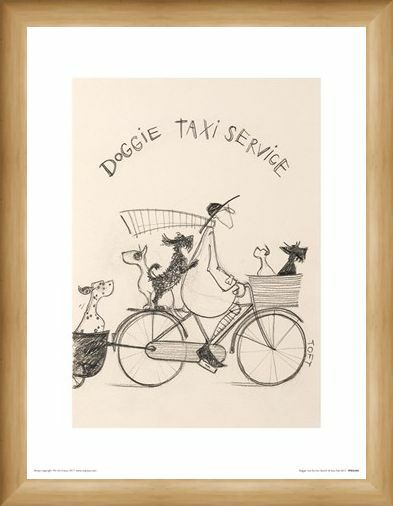 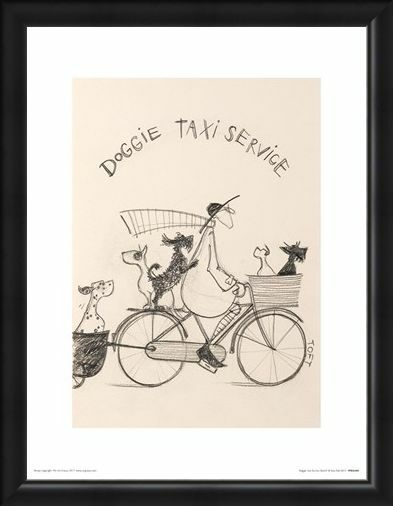 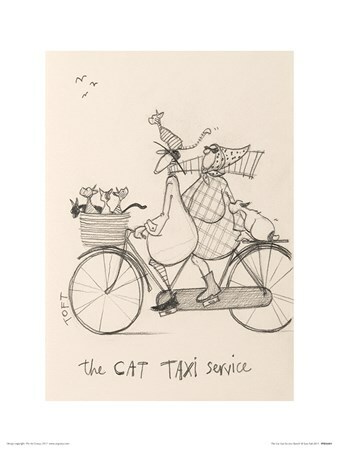 High quality, framed Doggie Taxi Service Sketch, Sam Toft print with a bespoke frame by our custom framing service.